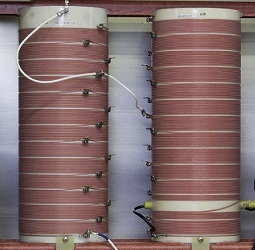 Automatic antenna capacitance tuning using dual astatically wound loading coils. 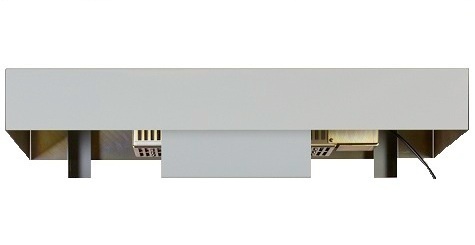 Optional adjustable series resistor optimizes the tradeoff between antenna efficiency and bandwidth. 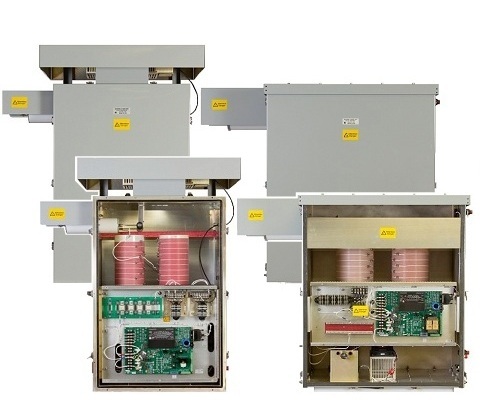 ATU cabinet enclosures designed for use in all types of outdoor environments including tropical, desert, coastal areas and offshore installations. Note: ATU-LP is shown with optional sunshield. The Vector transmitter and ATU-LP/HP communicate via a serial data bus that allows the transmitter to monitor the antenna current. This feature is unique to Nautel NDB and DGPS systems. The capacitive portion of the antenna impedance is automatically matched using dual astatically wound loading coils. 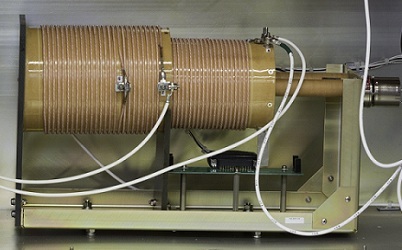 The loading coils are designed to be low-loss to maximize antenna efficiency. The dual astatic pair has a lower field than a single coil solution and this reduces eddy currents induced in the ATU enclosure. This feature virtually eliminates seasonal visits to NDB and DGPS sites to re-tap the traditional fixed-tapped matching transformers and is unique to Nautel ATUs. 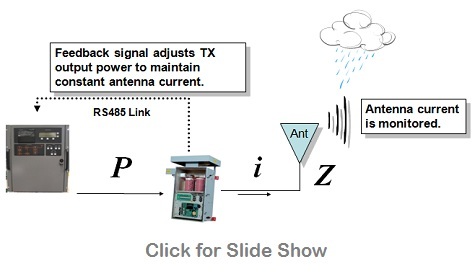 High ‘Q’ antenna systems, with narrow bandwidth, can cause undesirable sideband attenuation. The optional series resistor bank, with integral sun shield, allows for the insertion of resistance in series with the antenna to reduce the ‘Q’ of the antenna system and thereby increase the bandwidth of high ‘Q’ antenna systems. Remote control and monitoring of the NDB and DGPS transmitter, and ATU is available via the optional VR-Link remote control and monitoring system.